St. Croix’s Buccaneer Resort is offering a series of 2011 wedding packages featuring a new “Jump the Broom” rite of passage based on the ancient African tradition. The four wedding packages all offer a ceremony at the resort’s restored 17th century sugar mill or its palm-lined beach; the services of a personal wedding planner and non-denominational minister; photography and selection of 40 images plus CD; his and hers Buccaneer bathrobes; his and her massages; a bride’s bouquet and groom’s boutonniere; his and hers sterling “hook” bracelets; and a welcome basket of champagne, fruit, cheese, and chocolate. The “Jump the Broom” ritual includes a traditional invocation and a unique wedding broom designed by an artist exclusively for the couple. The package is priced at $500 as an add-on to any of the four main wedding packages. The all-inclusive “Hibiscus” package enhances the four packages’ shared features with a reception at the Buccaneer’s Brass Parrot restaurant; musical entertainment for the wedding and reception, and a morning-after breakfast for hotel guests with mimosas and Bloody Marys. The package begins at $8,100 for a minimum of 20 adults, not including accommodations. The Buccaneer‘s three additional wedding packages offer the shared features as well as unique attractions. The “Sugar Mill” package includes a beach wedding followed by dinner for up to 12 people in the restored 17th century sugar mill overlooking the sea, for $5,500 for 12 people. The “Bougainvillea” for two to 19 guests offers a wedding dinner at The Terrace restaurant with wedding cake and champagne for $2,650 for two. “Elope to Paradise” includes the packages’ shared features for up to six guests, starting at $1,350 for two. All packages are valid through Dec. 16, 2011, and do not include accommodations or airfare. 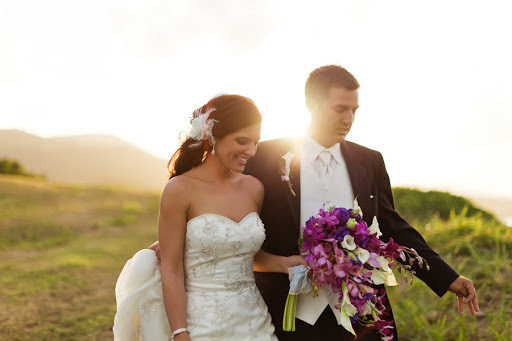 For more information on a destination wedding package at the Buccaneer Resort in St. Croix, contact us! Heard there are a couple of nice beach on St. Croix's Buccaneer Resort, some of the only ones in the Caribbean. 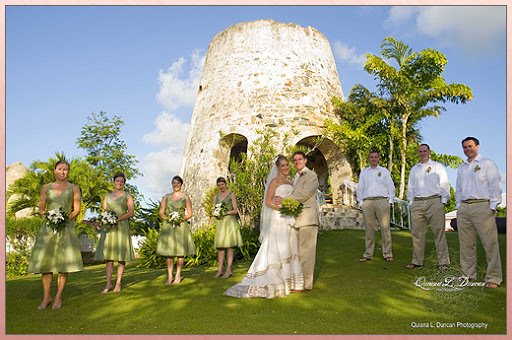 St. Croix's Buccaneer Resort is an excellent destination for a wedding.